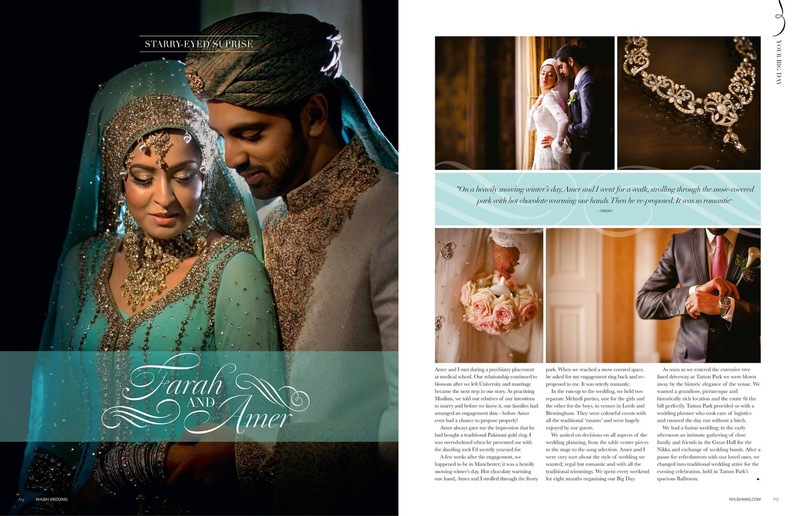 Back in January I blogged about a new print magazine aimed at Asian brides and grooms in the UK. Last month the first issue of Khush Wedding magazine launched and the team at Khush were kind enough to send me a copy. Here are my thoughts on the mag! First up, the all important cover image. In the past I have criticized other asian bridal mags for choosing cover photos which seem more suited to a fashion magazine rather than a bridal/wedding magazine, but Khush Wedding's cover definitely conveys the content of the magazine. 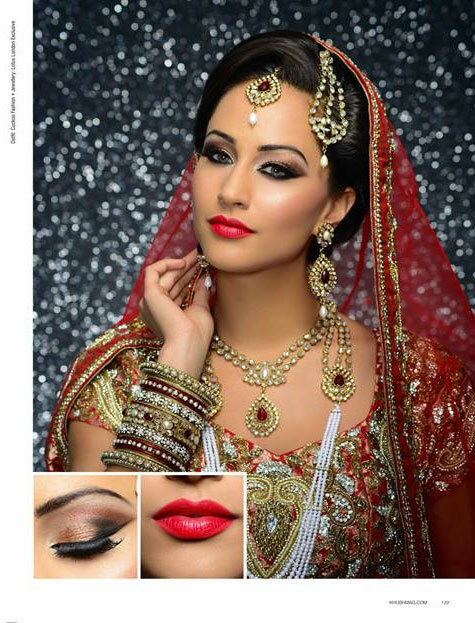 The magazine goes into a fair bit of detail on how the cover bridal look was put together for any brides who want to re-create this look for their own big day. There were a lot of outfits in this magazine which caught my eye, including the blue outfits above from Revaaj by KV. As well as outfits from stores/designers I had come across before, like Gul's Style and Arinder Bhullar it was good to see some less familiar names and designs. This was the format for the beauty portfolios - I think it's good that they show close-up details for the lips and the eyes. 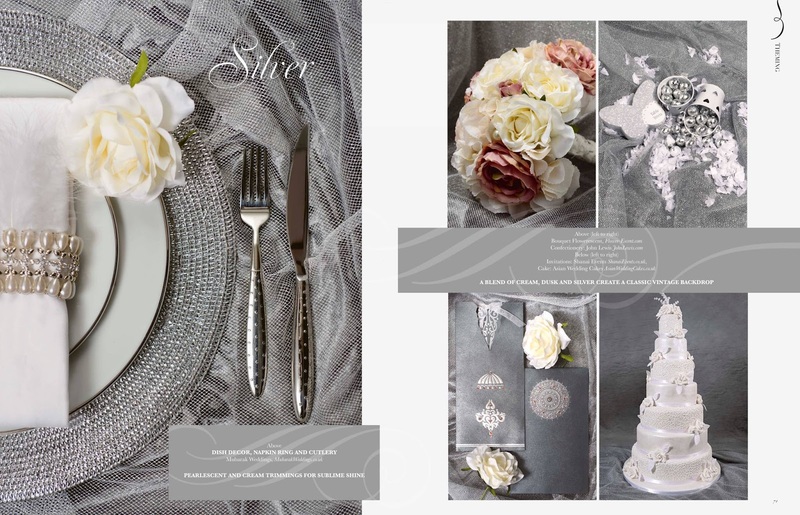 Other features of the magazine included real weddings, wedding decor ideas, travel guides for honeymoons and food/catering ideas - a page which I stopped a looked at for a good few minutes because the food looked soooooo good! 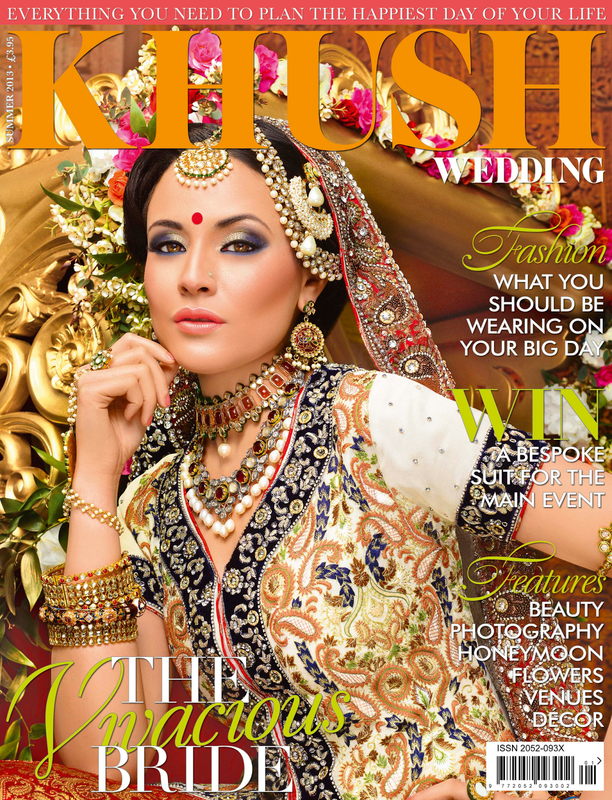 Khush Wedding is available to buy now, priced at £3.95, from WH Smith stores, high street newsagents and in a number of asian fashion stores across the UK. Find out more about where to buy in your area and to see more from inside the magazine over on the Khush Wedding Facebook page. I've been reviewing the magazine as an Asian fashion fan, so I'd love to know what brides, grooms and anyone else planning an asian wedding thought of this magazine. Post your comments below!